Tochi Iroku-Malize, MD, has oversight of the Northwell’s Department of Family Medicine, which supports Northwell’s hospitals with family medicine departments dedicated to providing comprehensive health care for individuals in the context of the family, as well as the Zucker School of Medicine. Dr. Iroku-Malize has served at Southside Hospital as a hospitalist, director of the hospitalist program and director of the family medicine residency program. Board certified in family medicine as well as hospice and palliative medicine, Dr. Iroku-Malize is a fellow of the American Academy of Family Physicians (AAFP) and a senior fellow in hospital medicine of the Society of Hospital Medicine. She has been an active member of the New York State Chapter of the AAFP since serving as president of the resident chapter in 2001. Since then, she has served on various commissions including public health, leadership and education. 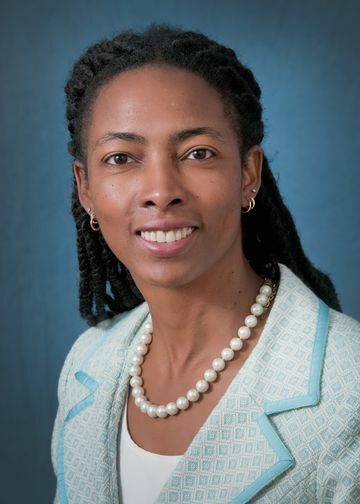 Dr. Iroku-Malize is also an active member of the American College of Physician Executives, Society of Teachers of Family Medicine, and Association of Family Medicine Program Directors. Dr. Iroku Malize was instrumental in revising the AAFP Recommended Curriculum Guidelines for Family Medicine Residents: Critically Ill Adults in 2008. She has developed curriculum for Health Care Systems, Geriatrics, Sports Medicine, Special Needs Population, Research and Scholarly Activity, Hospital Medicine and International Health. Dr. Iroku-Malize has presented numerous topics on clinical medicine, public health and academic medicine locally, nationally and internationally. Dr. Iroku-Malize received her medical degree from the University of Nigeria and completed her residency in family medicine at Southside Hospital. She earned a Master of Public Health in health policy and management from Columbia University’s School of Public Health. View Dr. Iroku-Malize's clinical profile.